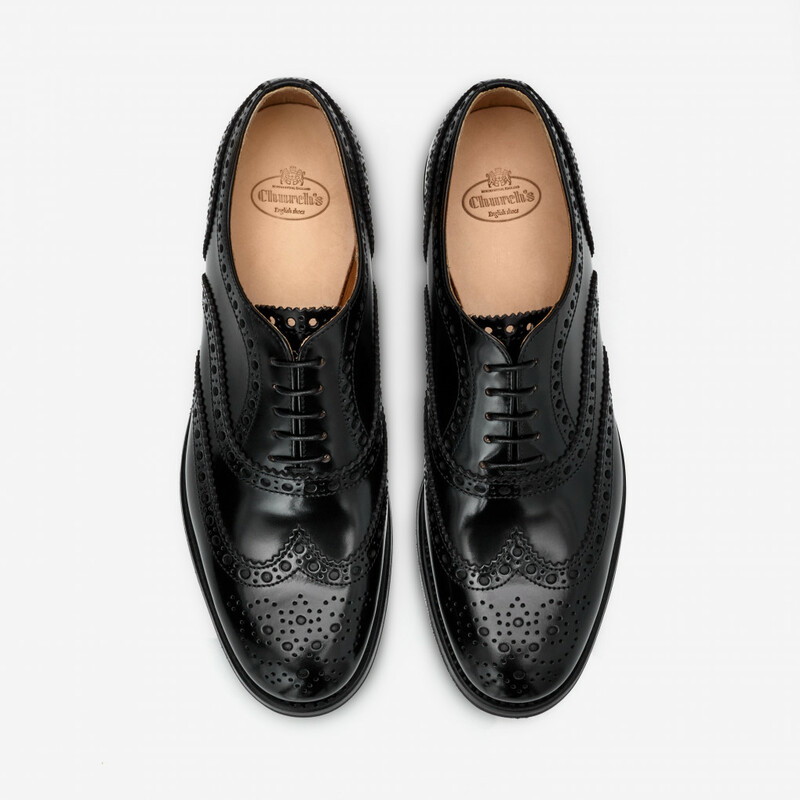 The Burwood brogue is a contemporary, feminine take on the men’s eponymous classic Oxford shoe by Church’s. The style is leather lined. Crafted from smooth, polished black leather and outfitted with perforated and lace-up detailing. It's timeless addition to any casual outfit. The name and size details are written by hand inside the upper in a special calligraphy. The triple sole is characterised by visible stitching and a rubber non-skid insert embedded in the leather to ensure practicality even in the less-optimal weather conditions. Shoe . Read more.. The triple sole is characterised by visible stitching and a rubber non-skid insert embedded in the leather to ensure practicality even in the less-optimal weather conditions. Shoe laces are cotton and waxed on the tips to make threading easier. Runs slightly big in size. We recommend going half size down. 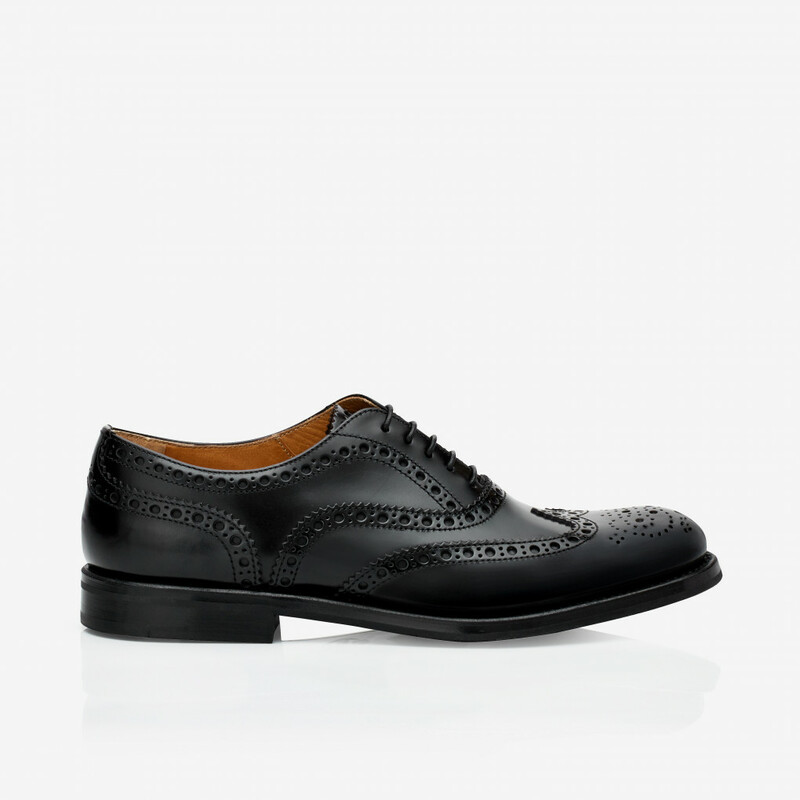 1 x Burwood brogue black was added to your shopping bag. 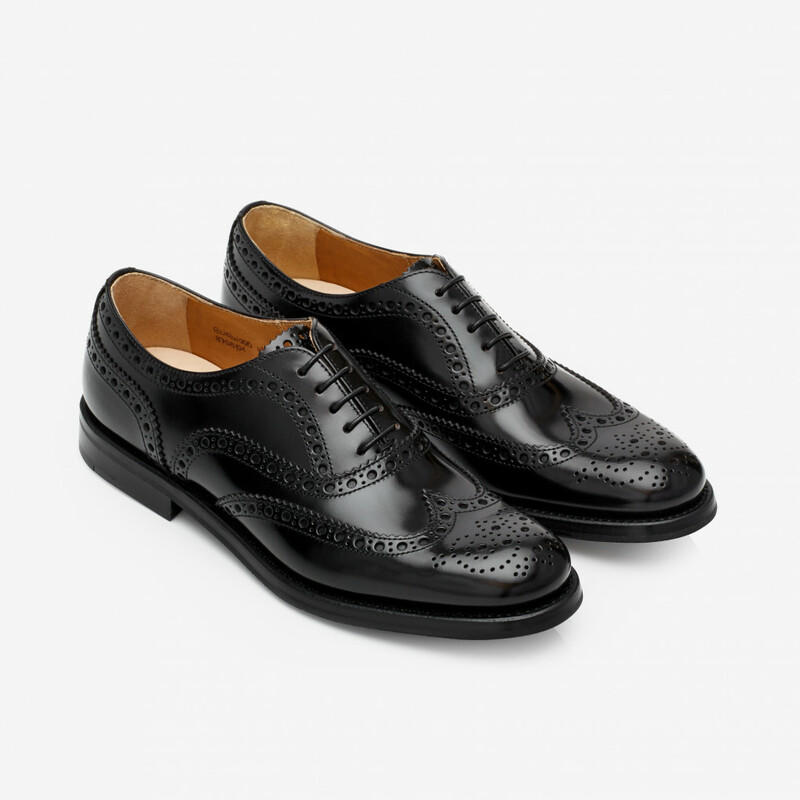 1 x Burwood brogue black was added to your wishlist.